No I'm not talking of wearing socks with your boots or your trainers and I'm not talking about tourist climber stylee either. I'm on about the socks and sandals or socks and heels look. I have a bit of a girl crush on how Fearne Cotton dresses so I can blame her! So this brings me to my hunt of a pair of shoes that look good with socks, comfortable and can be worn for days off and on work. Simple right? Nope. I'm thinking something that is chunkier will work best and because I wan't some support through the day, perhaps a wedge style. Watch this space! My husband will hate this next option that takes me back to my childhood years.... the JuJu sandal! Nope, don't get this trend - never have and never will sorry!! The male hiker picture is just wrong on sooooo many levels, haha omg. 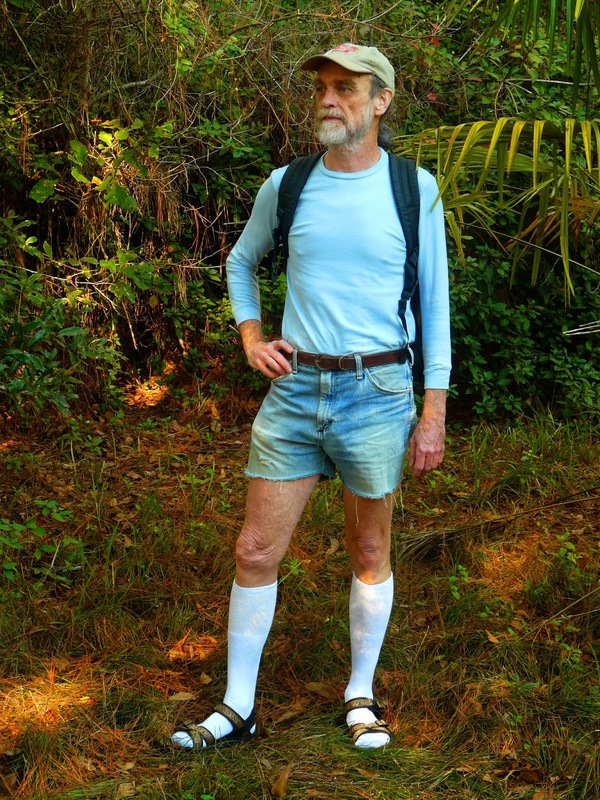 those socks, those short shorts! However, on a woman I think this trend works really well, as long is uses the right socks! - I think the frill top ankle socks fit this trend the best. I think floro colours look good as well. MAC buys and a Boho look to copy! When a try isn't a buy!